DarthPunk and mkfuba07 are helping me co-host this game. Any questions can be directed towards them or myself. I highly recommend using the coaches for advice during the game! Don't be afraid to contact them! You must post in this thread once per day/night cycle and vote every day while you are alive. If you fail to do so, you will be modkilled. BE ACTIVE OR FACE MY ETERNAL WRATH! No smurfs in here. This is a newbie game! Editing is not allowed for any reason. Editing will result in a warning. After that, you will be modkilled. This is the one part of the site where it is okay to be double posting, even triple-posting. While I ask for everybody to post as concisely as possible, post again using the acronym (EBWOP: Edit by way of posting) if you want to clarify/correct something you just posted. This also means that you cannot leave the game without a good reason without a ban. These situations will be dealt with on a case by case basis. PM me or the co-hosts if you need to leave the game. This game uses Plurality Lynch. The person with the most votes at the end of the day will be lynched. 1. Voting is done in a separate thread, located here: (link) Please keep votes there, and only vote there. Do not PM me your vote. 2. Please vote in the following format: ##Vote: ShiaoPi. Votes not done in the correct fashion will not be counted. I or my co-hosts will update vote counts whenever we get the chance. 2.5 If you change your vote, please ##Unvote before posting another vote (can be done in the same post). This game is open to players with 3 or fewer games on TL Mafia. Signups will remain open until the game is full. If you have played more but a long time ago, I might accept. Type /in if you want to play. This game uses replacements. Replacements will be made until Day 3. If a player is modkilled, they will be replaced by a player on the replacement list if possible. Type /replace if you want to be put on the replacement list. Replacements have to fulfill the same criteria as people who want to play (aka 3 games or fewer on TL Mafia). PMs are not allowed in this game. No out-of-thread communication of any sort is allowed unless cleared by the hosts. Scum will be provided a QT to communicate in, as will Masons, Hydras or shadowing players. This game will follow a 24 hour night/48 hour day-cycle. In case I am not able to post around deadline, any votes after the 48 hour mark will not count and the game will be put on halt until the night post is up. Currently the deadline is 22:00 GMT (+00:00), but that is subject to change. Actions/votes will be accepted up to and including the posted time, but not after. Thanks to kitaman27 for balancing. Thanks to Ange777 for giving me the idea for the Skyfall flavor. This game has a semi-open setup. All possible roles are listed below, the exact numbers however are not revealed. Terrorist Wincondition: Eliminate all of the MI6-aligned players or reach a scenario in which nothing can stop that from happening! MI6-Wincondition: Eliminate all the Terrorists! There will be 3 Players of the Terrorist-Faction. You are a MI6 Agent. While you are able to be pretty kickass in your own right, the threat that MI6 faces this time is on a whole new level. Support your superiors as good as you can! You have no powers besides your vote! You areEve Moneypenny, a field agent of MI6. You have always been paired up with other agents during your work. Making you very experienced at dealing with other people. Every night you can choose to be paired up with another player by PMing the hosts with: ##Mason: Playername. You will be given a QT in which you can communicate in private for a single day/night-cycle. You win with the MI6! You are Gareth Mallory, the chairman of the security and intelligence committee in the British Parliament. Many in the MI6 only think of you as the cumbersome civilian controller, but you can use your power to aid the MI6 in this terrorist threat. Every night you can choose to invite a player to a parliamentary hearing to testify about their part in the ongoing crisis. This will roleblock them during the entire night, making them unable to perform any actions. It will also put them under the protection of the officers at the entrance to the Parliament effectively saving the target from 1 KP. PM the hosts with: ##Jail: Playername to do so. You win with the MI6! You are M, the head of MI6. As chief in command of MI6 you have unlimited access to the entire databank of the United Kingdom's Intelligence services. Every night you can choose to check for one player within by PMing the hosts: ##Check: Playername. Their alignment will be revealed to you as either MI6-Agent or Terrorist. You win with the MI6! 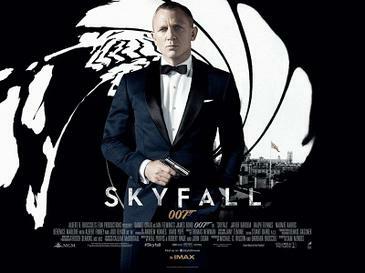 You are Kincade, the gamekeeper of Skyfall Manor. During your lifetime you have seen almost everything and are surprised by nothing. Your experience proves to be invaluable, when people start to go after you. You have 1 extra life during the nightphase. You win with the MI6! You are Bond, James Bond, Agent 007 of the MI6. Facing off against yet another terrorist threat you are of course empowered to use lethal force against the enemy. Unfortunately leaving dead bodies in your wake is a cumbersome thing to explain to your superiors so you have restricted yourself to a single kill this time. After Day 2 you can choose to deliver 1KP at night by PMing the hosts with: ##Kill: Playername. This ability is only usable once. You win with the MI6! You are Bill Tanner, chief of staff of MI6. You have nearly limitless access to the databases of the United Kingdom's intelligence services. Your access is fixed at comparison of suspects. At Night 1 you have to choose a player for your first comparison by PMing the hosts: ##Check: Playername. At Night 2 you will have to check another player. You will receive results at the end of Night 2. You will either receive same or different, depending on the checked alignments. You cannot check yourself. You win with the MI6! You are Q. The mastermind behind countless gadgets for Agent 007. You are the unsung hero behind the scenes. Every night you can choose to use your inventions to save someones life by PMing the hosts with: ##Save: Playername. They will be subsequently saved from 1 KP. You cannot protect yourself. You cannot protect the same player for consecutive nights. You win with the MI6! Chairman Ray, the MI6-Agent was lynched Day 1! Blurry, the MI6-Agent was killed Night 1! looks like I'll have time to play mafia, so I'll go ahead and/in, although if this randomly changes I will immediately bail. Awesome. 3 town coaches haha. Ace has no chance. Come my minions. Let us eradicate the scum. 1. Does my case work? 2. How do I apply pressure? 3. What should I do with my blue role? 4. How do I appear townie? 2. Please play the game for me. 3. Do you think this timing attack will work against zerg? In all seriousness, feel free to contact me with any questions you have about your own play, your own cases, your role or anything else you want to talk about. Please, do not hesitate to contact me! any chance you could use another /cohost? "If I wanted your opinion, I'd have told you what it was." Also, if you ask the mods in the atlma thread for my ban history and they give it to you (if referenced; I give the go ahead) you will find my apparent fascination with hitler. Therefore grmar nazi. U not spell Rong but Advice is more grammatical correct about coaches. lol @ Mocsta. So much hope. We all know how this will end. 2 Co hosts are enough, but thanks for the offer! Good lesson for the new guys actually. Read the original host post and follow the rules. They are there so everyone can get enjoyment from the game. Dont forget to contact the coaches. Is this plurality lynch a new trend? So here I am, craving for moar mafia! Yeah it's pretty much the standard nowadays. Majority and instant majority games still happen though, although I can't recall the last time a newbie game wasn't plurality. Consolidating is required much earlier in majority and it turns a lot more people into sheep, which I think are both bad things to learn in your first couple of games. Well newbie XLV was majority.